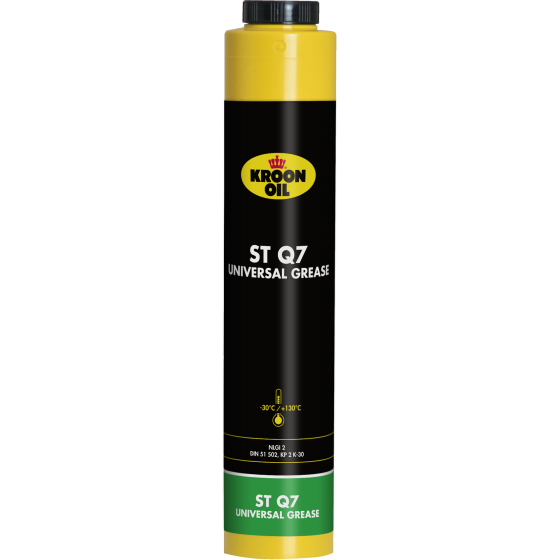 ST Q7 Universal Grease is a green-coloured long-filament universal grease suitable for industrial, agricultural and forestry applications. Its outstanding adhesion makes it the first choice for slow to medium speed rotary applications. However, it is less suited to rapidly rotating bearings. ST Q7 Universal Grease is available in a very handy, special Lube Shuttle screw cartridge. The Lube Shuttle grease guns can be ordered from us separately.